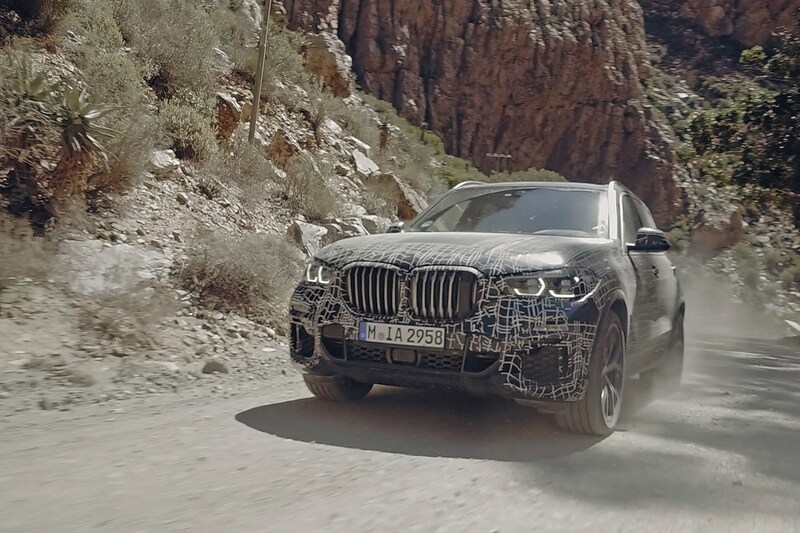 We’ve seen it in camo, but now BMW has revealed official, clean images of its new X5 SUV – and it looks exactly as you’d expect. Launched nearly two decades ago, the first X5 introduced the premium SUV – with 2.2 million models sold since over the three generations since launch. 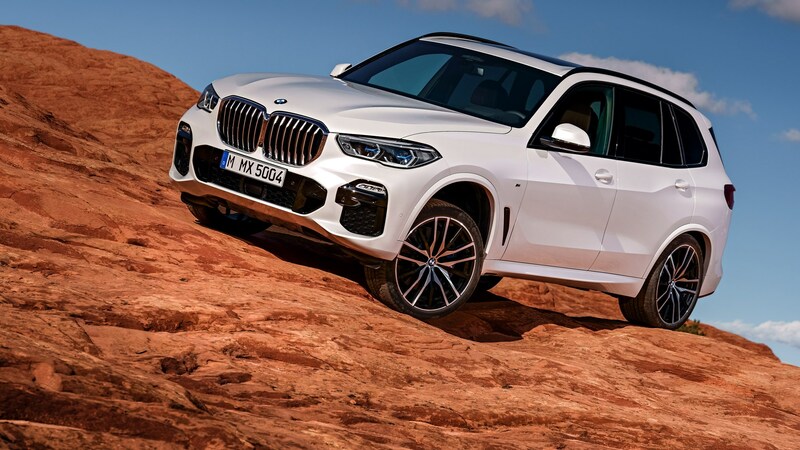 The X5 spawned the arrival of the entire range of BMW’s SUVs but, in 2018, the X5 isn’t quite an obvious choice as it once was. 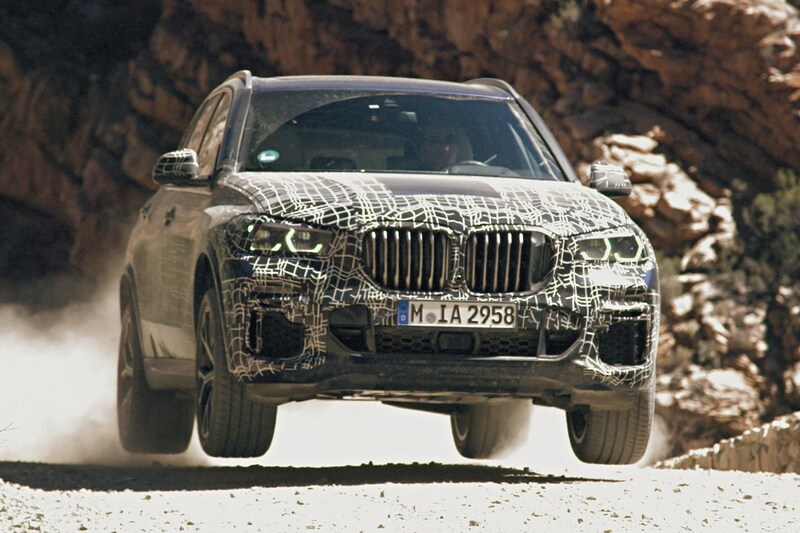 The new X5 aims to retake the premium SUV crown. BMW is releasing the X5 with four different engines; two petrol and two diesel – however one of them isn’t even making it to Europe. 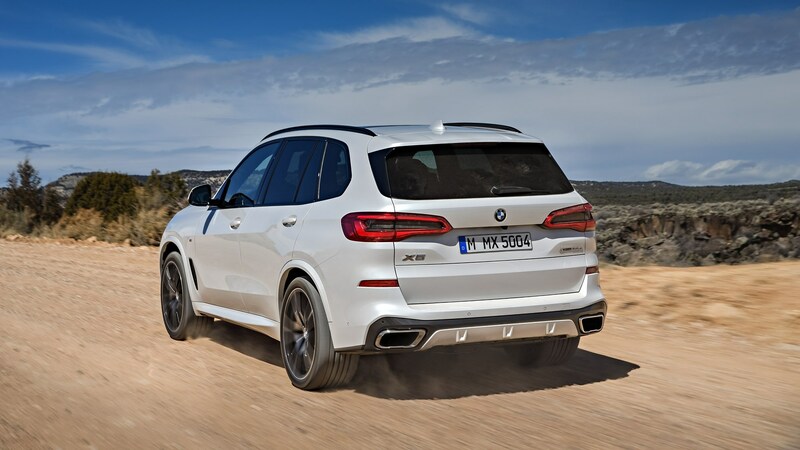 Other markets will see the range topped by xDrive50i V8, while the EU will have to do with the M50d: a six-cylinder inline diesel engine with four turbochargers. The M50d puts out 394bhp at 4400 rpm and delivers 560 lb-ft between 2000 and 3000 rpm. A multi-stage turbocharging system means no lag and lowdown torque, and that means a 0-62mph time of just 5.2 seconds. Because it’s a turbo diesel, BMW also says you’ll get between 39.2 – 41.5 mpg from it. 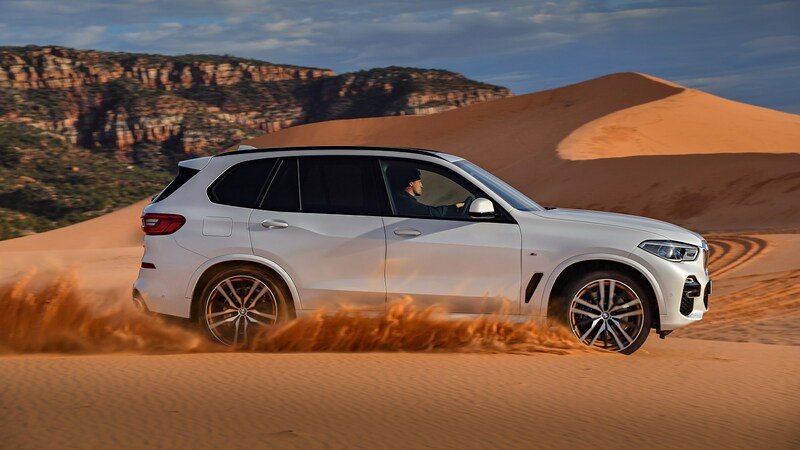 The six-cylinder inline units of the BMW X5 xDrive40i and BMW X5 xDrive30d round off the range. The 3.0-litre xDrive40i, the only naturally-aspirated petrol engine currently offered in the line-up, puts out 335bhp between 5000 and 6500 rpm, and produces 332 lb-ft between a wide 1500 to 5200 rpm range. 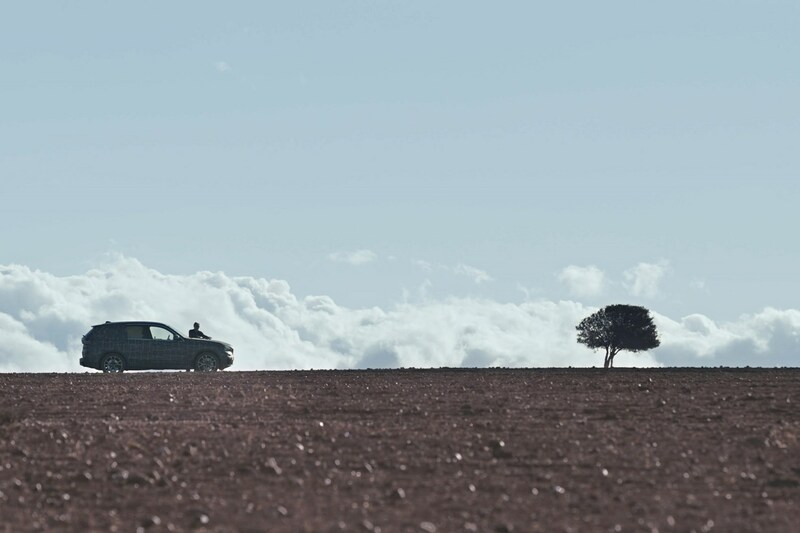 The xDrive40i engine does the 0 to 62 mph sprint in 5.5 seconds. At 32.1 – 33.2 mpg, it’s the thirstiest engine of the range. The single-turbocharger, xDrive30d puts out 457lb-ft of torque at 2000 to 2500 rpm, and delivers 261bhp at 4000 rpm. It’ll reach 62mph from a standstill in 6.5 seconds, but you should get between of 41.5 – 47.1 mpg. An eight-speed Steptronic auto ‘box will come with all models when they arrive later this year. 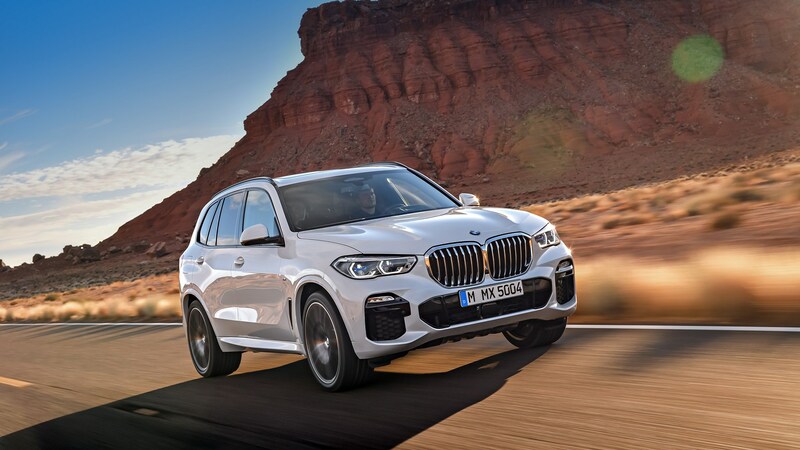 All X5’s benefit from the latest version of BMW’s xDrive system, and Driving Stability Control (DSC) system will lock from wheels with low-grip to those experiencing higher levels of grip. New cars seem to be swelling with every update, and the new X5 doesn’t buck the trend. The new X5 is 36mm longer, 66mm wider and 19mm taller than the outgoing model, and BMW believes this gives it both ‘elegant poise’ and ‘muscular authority.’ But it also means it’ll be even more awkward to pass on the school run, too. 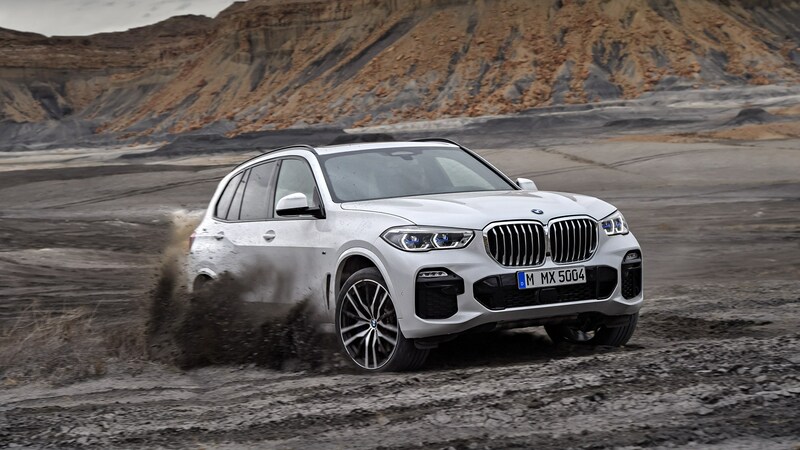 The X5’s kidney grille is larger and more hexagonal than before, and the overall appearance of the car has a more rugged or outgoing experience than the outgoing model, too. 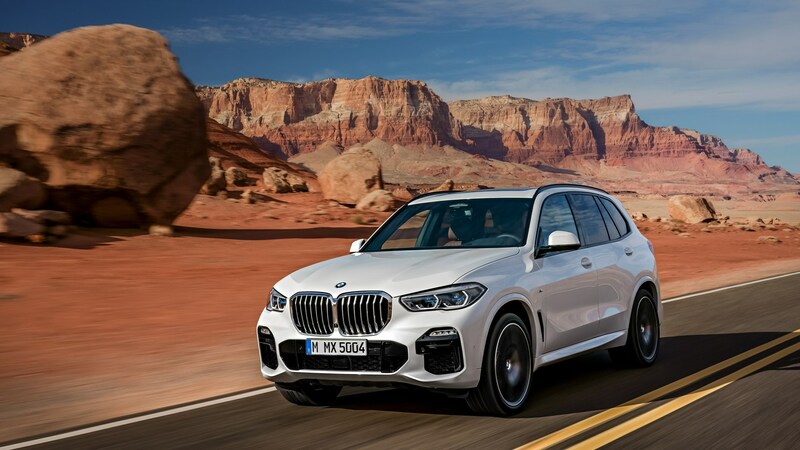 The effect is helped by large 18-inch wheels as standard, though an XLine model come with 19-inch wheels – and M Sport models with 20-inch rims. If you want to go higher, 22-inch alloy wheels are also available. 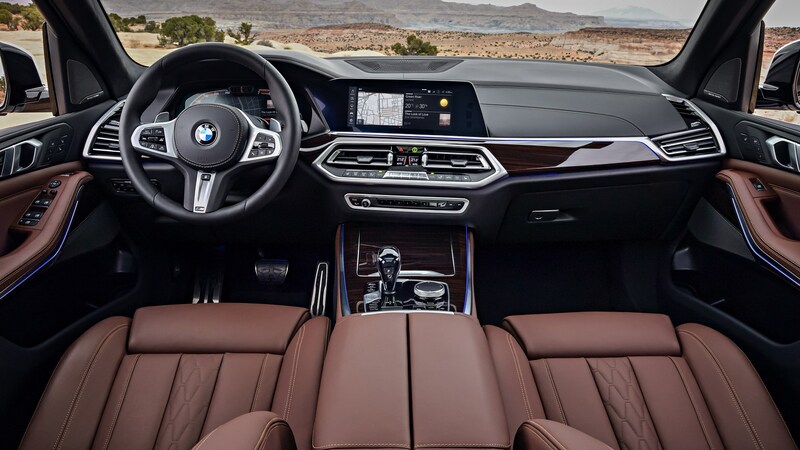 The new X5 interior looks like most contemporary BMW’s on first glance - but look longer and you’ll see a range of new design flourishes not yet seen in the rest of the range. Vents are more angular, you’ll find a reworked steering wheel too – but iDrive 7.0 has to be the most significant update on show. 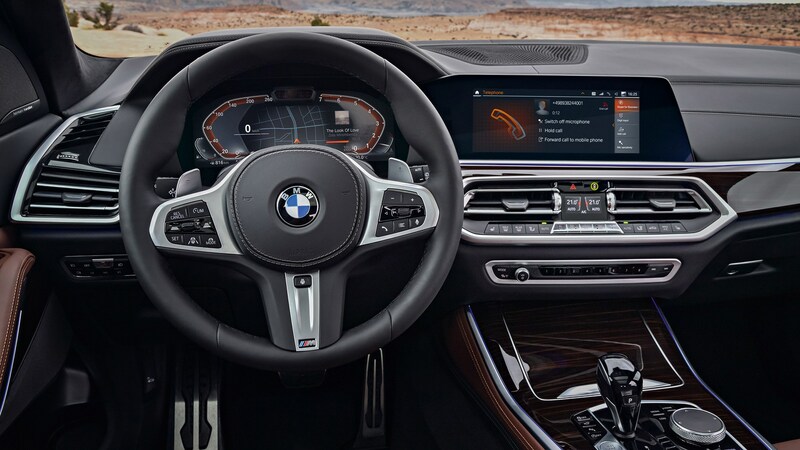 Easily identified by the snow goggle-like instrument clusters, iDrive OS 7.0 appears to be a step up from the previous infotainment system. 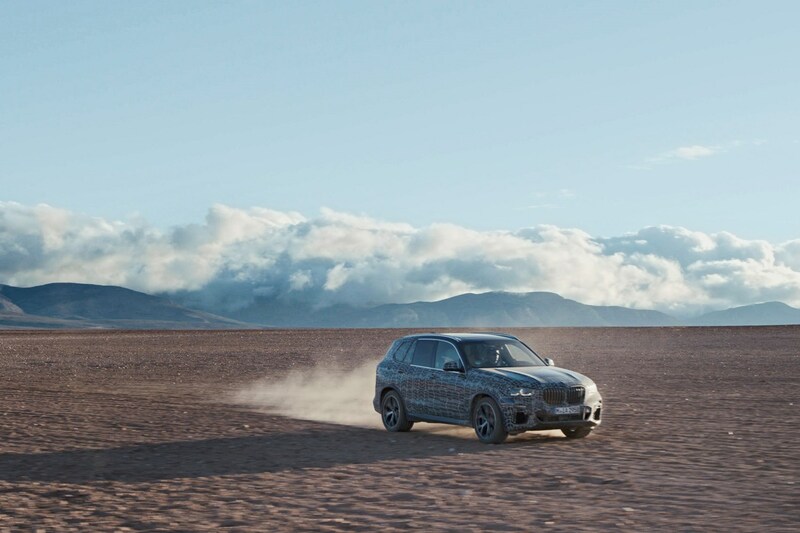 We’ve actually already had a play of it in a camouflaged X5; you can read about it here. As with previous models, the xLine and M Sport X5s interiors will come with a few differences, too. And for family entertainment? BMW is offering a 1500-watt, 20 speaker Bowers and Wilkins surround sound system later in the year, and it’ll also be offering a rear-seat entertainment professional system around the same time, too. The latter will come with two 10.2inch full-HD touchscreens, a Blu-ray player, a couple of extra headphone jacks and USB ports – and a HDMI socket. 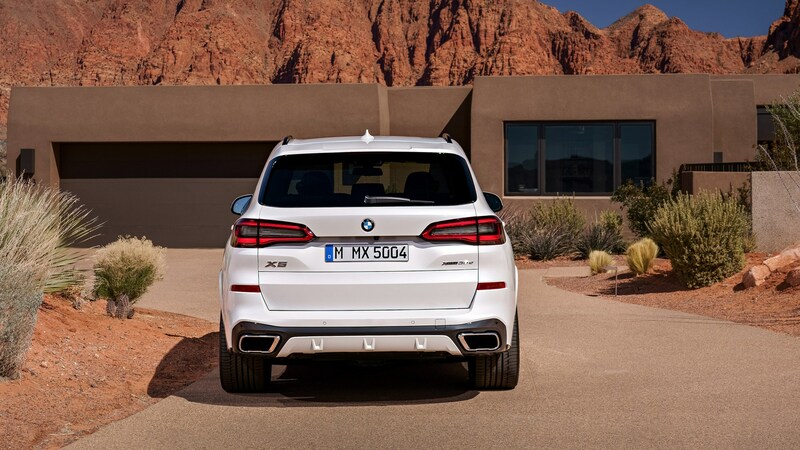 The new X5 is larger than before, but also easier to fill. Packing down the 40:20:40 rear seats improves boot capacity from 645 to 1860 litres, and a two-section tailgate means it’s easier to lod things as well. If you spec an X5 with the Comfort Access pack, it’ll even open hands-free, in front of you. The X5 comes with all the semi-autonomous mod-cons you’d expect. There’s adaptive cruise control with lane-keeping, autonomous emergency braking with pedestrian detection’ – but also evasion, so the car will steer away for you. Emergency stop assistant will even bring the car to a halt if the driver has been incapacitated in any way. As well as parking assistance, a reversing assistant also makes its debut in the X5. Simply put, it’ll remember your parking inputs in a particularly confined space, and then reverse them for you when you need to leave. According to BMW, these inputs can be used up for a distance of up to 50 metres. No pricing is available for the X5 yet, but we’ll update this article when we know more.